According to Mikko H. Hypponen ,CRO of F-secure - "The list of 62,000 emails/passwords just released by @LulzSec is probably the user database of writerspace.com." He also give Reason that "Why writerspace.com? 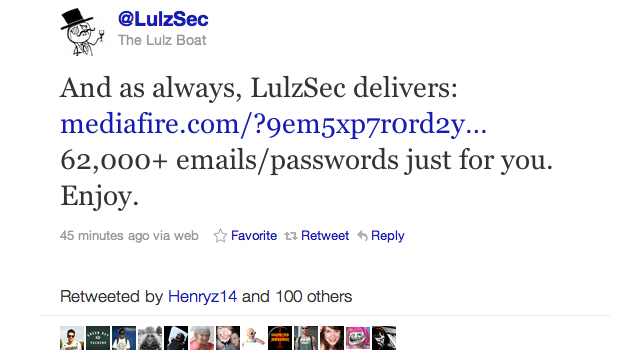 Well, the most common passwords include these: mystery, bookworm, reader, romance, library, booklover and..writerspace.So basically that's why I believe the latest Lulzsec password leak originates from writerspace.com. I'm guessing it's their user database"